The CHERRY Corporation was founded by Walter Lorraine Kirsch (CHERRY) in 1953. The first microswitches were produced in the basement of a restaurant in Highland Park, Illinois. From humble beginnings, the company quickly grew in size and reputation after entering the US automobile market. In the early 1960’s, Kirsch ventured back across the pond to his original stomping grounds in Europe. The roots of the CHERRY family are in Germany, hence the company namesake, Kirsch = CHERRY. American Entrepreneurship coupled with German Engineering encompasses the history and future of CHERRY. Today, CHERRY is regarded as the epitome of precision, longevity, and responsibility. A unique feeling. In 1973, CHERRY began manufacturing computer keyboards, a milestone in the company’s history, leading the way forward. Today, CHERRY is the oldest manufacturer of computer keyboards, a pioneer in the computer hardware industry. In 1983, CHERRY commemorated the development and production of the MX Switch. 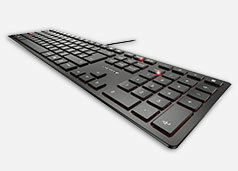 Billions of MX switches equip millions of keyboards around the globe which rely on this technology. 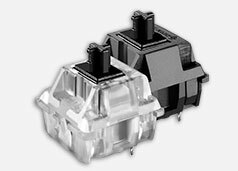 The ‘must have’ for the most professional of all users: CHERRY MX Switches- the best mechanical switch. 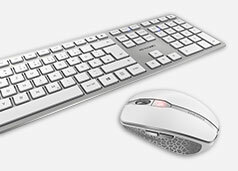 Timeless and durable: The savvy, professional user relies on original CHERRY quality. 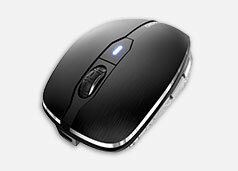 Original CHERRY quality is the benchmark for input devices in a variety of applications. In gaming, at the point of sale, at industrial plants or on the desk. 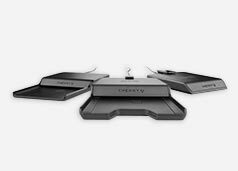 Desktop sets, mice, keyboards, mechanical MX switches and card-reading terminals are the core of the CHERRY brand today. Original CHERRY – who is behind it? In 2008, Peter CHERRY, the son of Walter L. CHERRY, sold his company. After an eight-year partnership with the German automotive group ZF Friedrichshafen AG, the iconic CHERRY brand has been in the loyal hands of GENUI Partners since 2016. GENUI Partners is a Hamburg-based investment company founded by outstanding entrepreneurs and investment professionals. In addition to capital, it provides active support for the strategic development of companies. The headquarters of CHERRY GmbH is located in Auerbach in der Oberpfalz. The managing directors are Rolf Unterberger (CEO) and Bernd Wagner (CFO).